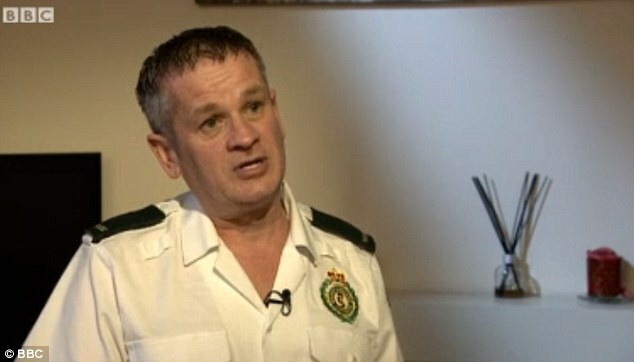 A whisleblowing paramedic who spoke out about the chaos his local A&E departments has been banned from both hospitals. Stuart Gardner, of West Midlands Ambulance Service, was reprimanded after saying under-pressure emergency units were ‘not safe’. He has since been told he is not welcome at hospitals in Worcester and Redditch. The comments were made by the paramedic of 26 years during an interview with the BBC. During it, he described how even before the winter pressures, patients were routinely treated in corridors at the Worcester Royal Hospital. In fact, the practice was so commonplace that ‘there were labels along the corridor of the emergency department so staff could find the patients’. ‘Last Friday, there were 18 trolleys with sick patients,’ he said. ‘There were ECGs being done, stitches, cannulas (a medical tube inserted into the body with a needle) – staff were doing everything in the corridor. Since then, however, Mr Gardner claims he was told he was ‘not welcome’ at either the Worcester hospital or the Redditch Alexandra Hospital. The trust told the BBC it is under extreme pressure – and patients are being treated on trolleys to prevent them from being treated in ambulances. It added the ban had been imposed as Mr Gardner’s comments had upset staff. 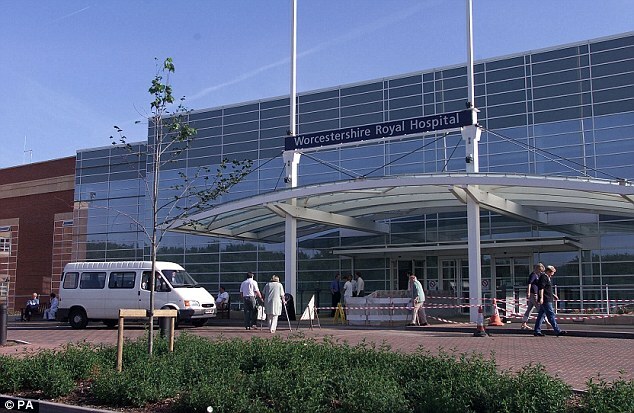 In a statement, Stewart Messer, Chief Operating Officer at Worcestershire Acute Hospitals NHS Trust, said: ‘We would like to make clear that our conversations with Mr Gardner and his representatives about his presence at our hospital are related to personal upset he has caused among some of our A&E staff in relation to the interpretation of some of his comments. ‘Whistleblowing is positively encouraged and promoted within our organisation and we take any concerns about our quality of care very seriously from anyone who wishes to raise them. ‘Our A&E staff are proud to have a very positive working relationship with the paramedics who visit our sites… it is critical to preserve relationships with the ambulance service – especially at this crucial time – in order to ensure the safety of patients in our care. He added: ‘In response to this isolated incident, we have suggested it would be appropriate for Mr Gardner to address the upset he has caused among A&E staff who are working tirelessly under what has been – and continues to be – extreme pressure. But a spokesman for West Midlands Ambulance Trust told MailOnline that Mr Gardner was working and being deployed as normal. ‘This is an issue between the union and the hospital,’ he said. A spokesman for the hospital trust admitted he was ‘not fully aware’ of what had been decided. Ravi Subramanian, UNISON’s West Midlands Regional Secretary, said rather than dealing with the problems facing A&E departments the Trust had chosen to personally attack one of their members. ‘Our rep Mr Gardner is clearly acting in the public interest in whistle blowing about serious concerns about A&E. The response from the Trust’s Chief Operating Officer, Mr Messer is nothing short of an utter disgrace,’ he said. ‘By banning Mr Gardner from the Trust premises Mr Messer is putting patients’ lives at risk. ‘What happens if Mr Gardner is on a 999 call in the area and the best place to take patient is to Worcestershire Royal Hospital. ‘Is the chief operating officer saying that Mr Gardner will be turned away, and will have to take the patient to a hospital further away, thus endangering patient safety? The reason for coming down on Mr Gardner like a ton of bricks is to fire a shot across the bows of ALL potential whistleblowers / complainants who may be considering “stepping out of line” and doing what their conscience instructs them to do. Shame on the managers behind this and all similar actions. In a modern, civilised world, it would be they who would be made to answer for their callousness and the risk that they bring to patient care through their frequent betrayals.